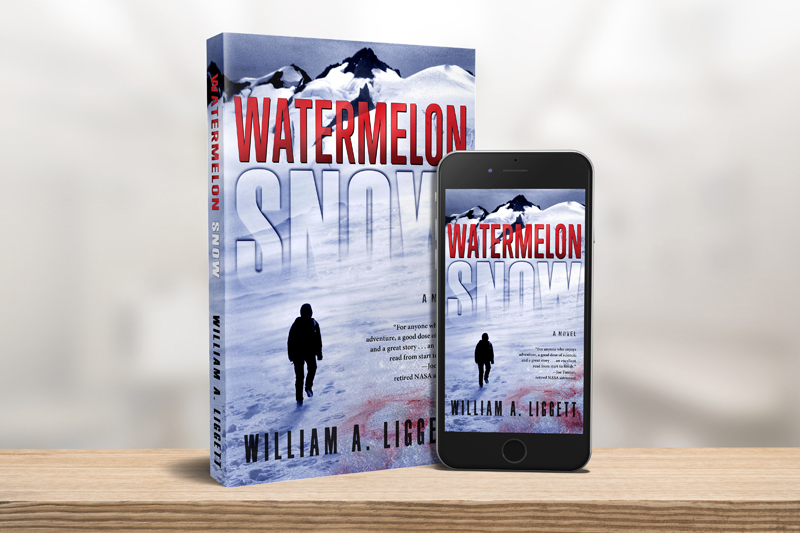 Boulder, Colorado, June 2017—In his debut novel, Watermelon Snow, author William Liggett presents a story of adventure, mystery, loss, and hope, set on the disappearing Blue Glacier in the Washington wilderness. Climate scientist Dr. Kate Landry makes a remarkable discovery, triggering a series of tragic events that threaten her work, her life—and the lives of millions of others. Written in the tradition of Michael Crichton and Robin Cook, the fast-paced book is filled with suspense and surprises. Part of the new climate fiction (cli-fi) literary genre, Watermelon Snow focuses attention on global warming and the many challenges we face as our planet’s temperature rises. Unlike the many cli-fi authors who take a dystopian, apocalyptic approach, Liggett offers a more optimistic future. The book is available in print and ebook editions.